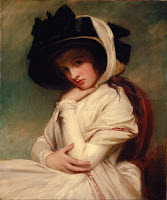 Take a look at Regency ebooks and chances are several of the covers will feature paintings of Emma Hamilton done by George Romney (1734-1802) well over 200 years ago. In the period from 1782 to 1785, he painted some 60 different portraits of the beauty, who was at that time going by the name Emma Hart. Romney—who is related to the former Illinois governor of the same name as well as his son, presidential candidate Mitt Romney—actually changed the family's spelling of the name, which was formerly Rumney. At the age of 21, Romney was apprenticed for four years to a portrait painter. The apprenticeship (paid for by Romney's cabinetmaker father) was to have lasted longer, but George Romney was able to buy himself out of the servitude and strike out on his own. 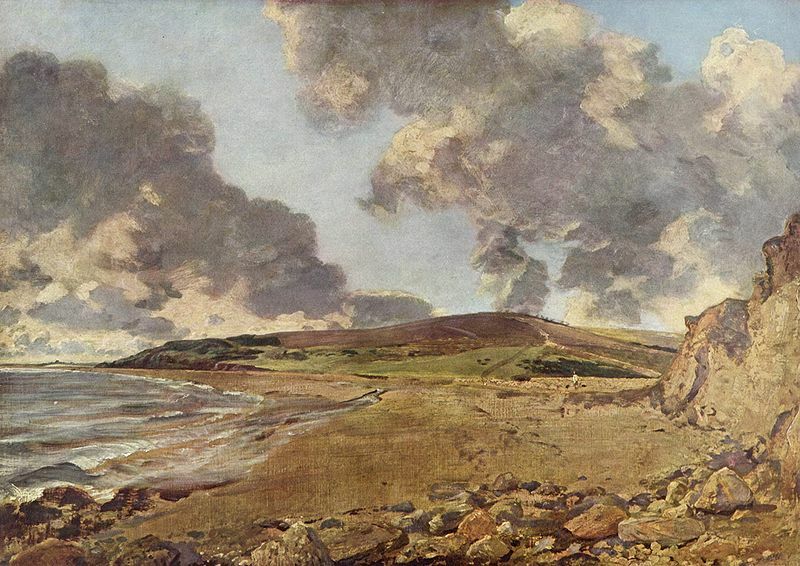 In those early days when he was painting in the provinces, he charged six guineas for a whole-length portrait and two for a three-quarter figure. In 1762 Romney came to London to make his fortune, leaving behind his wife and son. His wife, who was of a lower social class than he, never came to live with her husband in London during the nearly 40 years he was away. He provided generously for her—as well as helping out many of his ten siblings. In London, he raised his prices to 8 guineas for a three-quarter portrait and began to receive many commissions from members of the legal profession, then from those in the theatre. 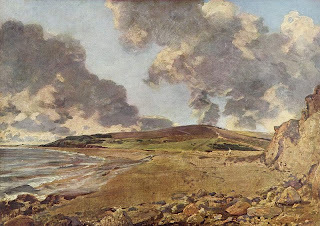 Ten years later he was making an exceedingly comfortable income of over £1,000 a year and was therefore finally able to travel to Italy to really study his art. He stayed abroad for two years. Upon his return, he boldly took the large house and studio located at No. 32 Cavendish Square, an aristocratic neighborhood. 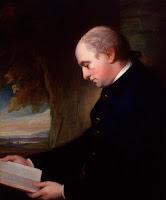 One of his first patrons there was the Duke of Richmond, who commissioned him to paint his portrait—along with several copies of it, as was the custom in that day—and Romney also did portraits of various members of the duke's family. A long procession of aristocrats began to patronize him. This included Georgiana, Duchess of Devonshire (whose portrait was never finished due to her unreliability); her best friend Bess, who succeeded her as Duchess of Devonshire by marrying the 5th Duke; the Duchess of Gordon; the actress Mary Robinson as Perdita; and Mrs. Fitzherbert, illegal wife of George IV when he was Prince of Wales. Soon Romney's income grew to a lavish £3,000 a year. 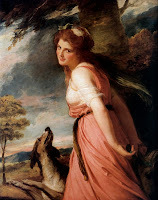 It was in the summer of 1782 that Romney came under the spell of Emma Hart, when her "protector" Charles Greville (nephew to her eventual husband, Sir William Hamilton) requested that Romney paint the exquisite creature. The 48-year-old painter was smitten. Most believe his relationship with Emma was purely platonic, more like that of a father toward a daughter. The age gap between them was 22 years. In Emma, he had found the perfect model for his mythological works. The Prince of Wales, too, was enchanted. He purchased two of Romney's paintings of her, one as Calypso and the other as Magdalen, paying the staggering sum of £100 for each of them. Romney and Emma were genuinely fond of one another. When Emma returned to England in 1800 and inquired about Romney, who had chosen to spend the last two year of his life in the country with his wife, Romney said, "The pleasure I should receive from the sight of the amiable Lady Hamilton would be as salutary as great, yet I fear, except I should enjoy more health and better spirits, I shall never be able to see London again." 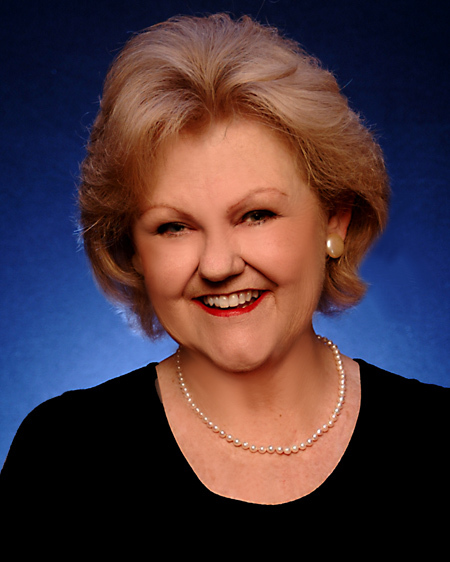 Cheryl Bolen's first Regency historical romance was published by Harlequin Historical in 1998. For it, she received the title Notable New Author. More than a dozen historical novels set in Regency England have followed—as have awards. Her Christmas book, One Golden Ring, won the Holt Medallion for Best Historical in 2006, and her ebook My Lord Wicked won Best Historical in the International Digital Awards in 2012. She has two upcoming releases: Book 2 in the Regent Mysteries, A Most Discreet Inquiry, and her first book for Love Inspired Historical, Marriage of Inconvenience. Many of her articles on Regency England can be found on her blog, www.CherylsRegencyRamblings.wordpress.com. Despite the looming shadow of the Industrial Revolution the people of the Regency were still, essentially, people of the land. Agriculture, though being overtaken by industry, was still the primary source of income. It was, in the case of landowners, the source of wealth. 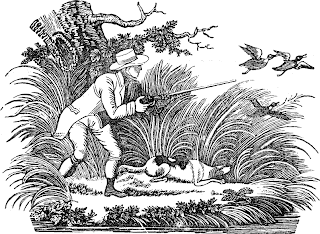 Given that hunting, shooting, and fishing were important activities for the wealthy, and supplied food, legal or otherwise, for other classes of society, the health of the natural world was paramount. Gilbert White's Natural History and Antiquities of Selborne, written in 1789, had given a new voice to recording the natural world. Zoologists like Thomas Pennant and botanists like Sir Joseph Banks were extending knowledge at a rate previously unknown. And the magazines of the time did their bit. Both The Monthly Magazine, and The New Monthly Magazine (more about them in a future post) carried, in addition to their monthly agricultural reports, a monthly Naturalist's Report. I find it remarkable to encounter so intimately the countryside of two hundred years ago. From The Monthly Magazine of 1811, come reports of August - "Reaping month"
Weather more favourable for the reaping and housing of corn, than that which we have had during the present month, has, I believe, been seldom known. The breed of the partridges is said to have suffered greatly from the wet weather that occurred about the season when young birds were hatched. Mushrooms are very scarce. The season has been altogether unfavourable for them. The clouded yellow butterflies are in much greater abundance than I have usually seen them. 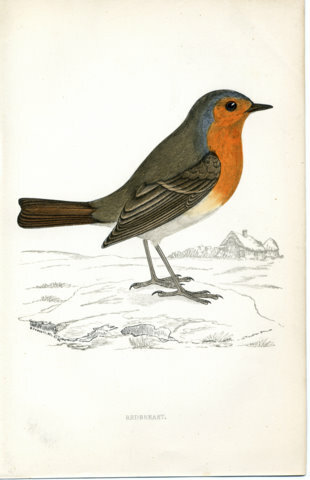 In 1814, the Naturalists' Monthly Report in The New Monthly Magazine ran from August 18 to September 18 - "Fruiting Month"
The redbreast begins its twittering song, the first signal of approaching winter. Meadow saffron is now in flower. The leaves of the lime tree begin to fall. Mulberries are ripe. This is also the case with greengages and filberts. Swifts have not been seen for some days past. There has been white frost for several nights past. Several hundred weight of grey mullet were this day caught in the harbour, near Christchurch, Hampshire. Next week, Regency author Cheryl Bolen will join us to discuss George Romney, renowned artist and devotee of Emma Hamilton. 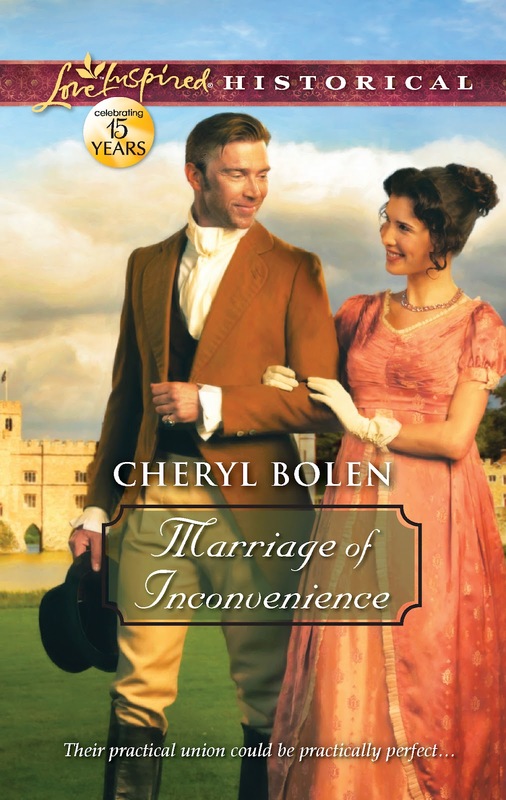 Cheryl's first Regency historical romance was published by Harlequin Historical in 1998. More than a dozen historical novels set in Regency England have followed. 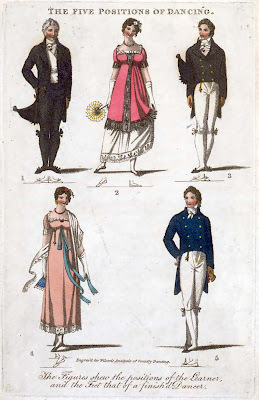 Many of her articles on Regency England can be found on her blog, www.CherylsRegencyRamblings.wordpress.com. 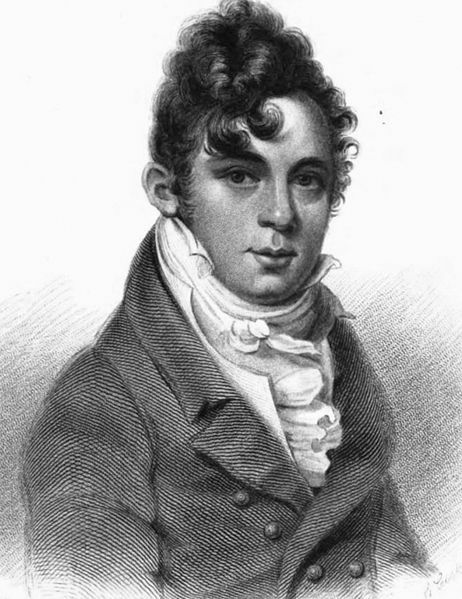 Thomas Wilson saw himself as the premier exponent of dancing in the Regency era. He had, I think, delusions of grandeur in that vision, but he worked hard to make his dream come true. We don't know, it seems, where or when Thomas Wilson was born, or where and when he died. It appears that he was married for there are references to Mrs. Wilson. Whether he had any children is unknown. What he did have was a love of the dance. He was for many years a dance instructor/coordinator at the King's Theatre (Opera House). 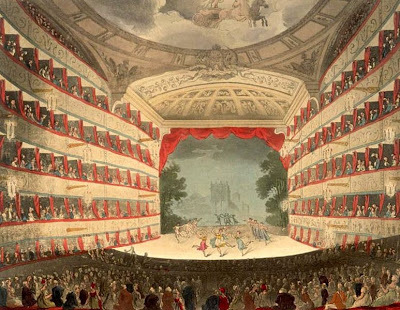 The dancers on the Opera House stage in 1808 below may have been trained by Wilson. "Mr. Wilson's Annual (being his 81st Public) Ball, will take place on Monday next, 18th Dec. 1820, at the Globe Tavern, Fleet-street. The Ball will be opened at Eight o'Clock, with the Quadrille Minuet, by Misses Jones, Wilkins, Ivory, and Gillman (his Pupils) who will dance the Union Waltz, new Shawl Dance, Terpsichore Allemande, and a new Fandango, all composed by Mr. Wilson. There is a substantial list in this ad of the general Dances to be undertaken, several of them composed by Mr. Wilson, and 'Double Tickets' are priced at 12 shillings. I do wonder who was the target market for these balls. Certainly the ton would not attend, but perhaps the rising middle class? 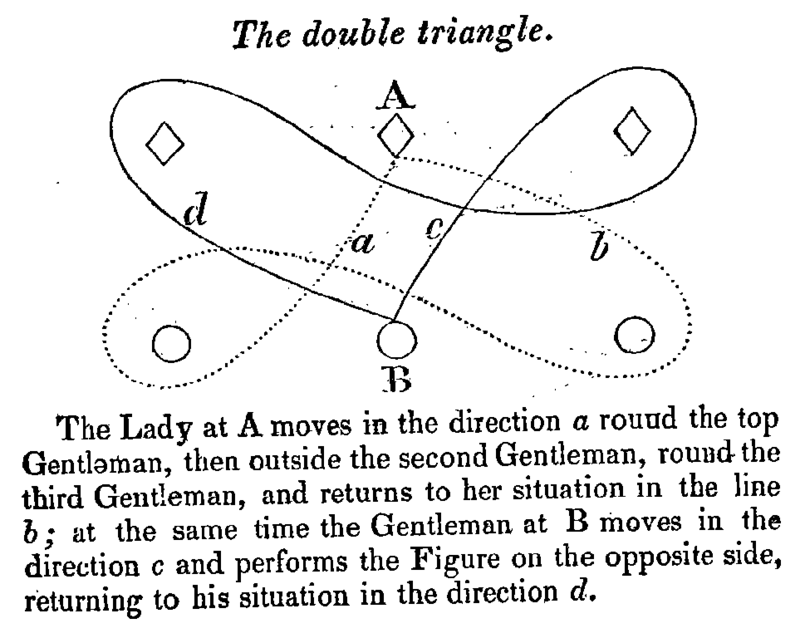 The same advertisement notes "...just published, the "Quadrille Panorama"; also, "The Complete System of English Country Dancing"; together with his various other Works on Dancing; also his new Comedy, in verse, called "The Disappointed Authoress". " and one of his opponents said Wilson's Treasures of Terpsichore "should be universally exploded as unintelligible and useless,..."
Thomas Wilson was so well known that Leigh Hunt, in his 1840 publication The Seer, included an essay "Dancing and Dancers"--much of it pointed comment on Wilson, "...author of several dramatic pieces, and inductor of ladies and gentlemen into the shapely and salutary art of dancing." Advertisements for Wilson's work appeared in all the major journals of the day, 'The Gentlemen's Magazine', 'The Literary Panorama', 'The Monthly Magazine', 'The European Magazine', and 'The Ladies' Monthly Museum'. His publisher was sometimes Button and Whitaker whom I discussed here. Does such commentary indicate that Thomas Wilson was a success and therefore could be excoriated without harm? Or does it prove that despite all his efforts Wilson was a running joke among his contemporaries, and a man with more pride than prosperity? In 1752 Henry Fielding began to publish, twice weekly, a periodical entitled "The Covent-Garden Journal". Although Covent Garden was formally recognized as London's theatre district, and informally recognized as the place to pursue less respectable pursuits, The Covent-Garden Journal was no more than a typical journal of the period, containing essays, literary reviews, news and notices. Currently there is a Covent Garden Journal which covers all aspects of life in this trendy and popular district of London. But in April 1810 was published the most interesting (in my opininon) Covent Garden Journal of them all. This journal was written by John Joseph Stockdale and it was, according to the dedication, a "history of the most extraordinary set of circumstances that ever took place in a British theatre". 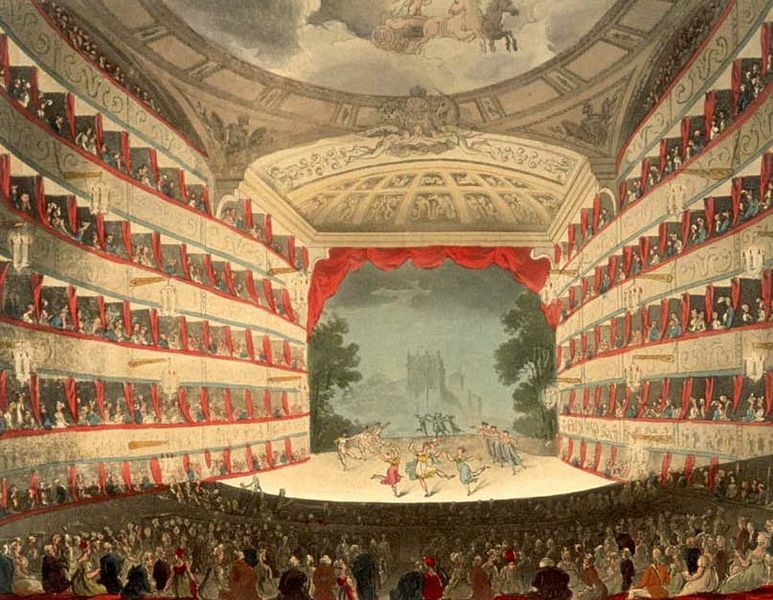 On the 30th of September, 1808, the Theatre Royal, Covent Garden--often simply known as Covent Garden theatre--burned to the ground. Losses were estimated at 150,000 pounds. Despite that enormous loss, the foundation stone for a new theatre was laid on December 31 of the same year by the Prince of Wales and, amazingly, on the 18th September 1809 the new theatre opened. And the price increases, necessary or not, led to two months of riots. The Covent Garden Journal covers it all, in meticulous detail. And it illustrates the beautiful new theatre with the four impressive engravings reproduced here. In addition to riots, there were court cases, Bow Street was involved and the city was in an uproar. The OP (Old Price) riots were drawing to a close in December when the 'OP Dinner' took place. Mr. Kemble, the actor-manager at the helm of the theatre, was growing weary, and appeared after the dinner, to discuss reconciliation and future terms. Mr. Stockdale, the author of this Covent Garden Journal, makes it plain he was disgusted by the price increases following the opening of the new theatre. And in his Preface, he indicates that he was told to suppress publication of his Journal. But he says he wished to "present the public with a strict, impartial and minute, history of their triumph and campaign". I think he did that, and it makes excellent reading for anyone interested in London's theatre history. The Covent Garden Journal is available as a free download from Google Books. Theodore Edward Hook was a talented young man. He was a success in musical and drama circles by age sixteen. By about age eighteen he had been noticed by the Prince Regent for his skill in improvising songs. He attended intermitently at Oxford but it was in London society that he made his greatest mark. He was a bon vivant, a beau, and a rascal, was welcomed everywhere and was long remembered by London society. He looks challengingly out of this portrait, a determined chin countered by a full pouting mouth, dark circles of dissipation already pouching the eyes which hold a disconcertingly direct gaze. Hook's career was vast and varied. The Prince Regent made him accountant-general and treasurer of Mauritius for five years. At the end of his career there he was held responsible for a discrepancy in the treasury accounts of 12,000 pounds. The debt and the subsequent cloud of suspicion followed him for the rest of his life. Nevertheless he lived life to the full. He turned to writing. In 1820 he launched the newspaper John Bull; he produced nine volumes of stories from 1824-1828, and thirty-eight more novels and other works up til his death in 1841. Amongst the things for which Hook was most remembered however, was his love of pranks, practical jokes and hoaxes. Wherever he lived, at all ages of his life, he could be counted on for foolishness. The betting book at White's Club must bear his name (I have not discovered if he was a member); and wagers must have been laid upon his japes. Stories of his most famous foolishness are contained in the 1883 publication, The Choice Humorous Works: Ludicrous Adventures, Bon Mots, Puns and Hoaxes of Theodore Hook, available as a download from Google Books. 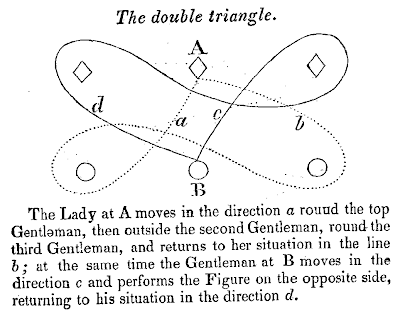 Among the most famous of his practical jokes was the Berners Street Hoax in 1810. Contemporary newspapers were full of accounts of the event. It was a triumph of a joke, a masterful piece of planning, and even two hundred years later causes one to laugh. 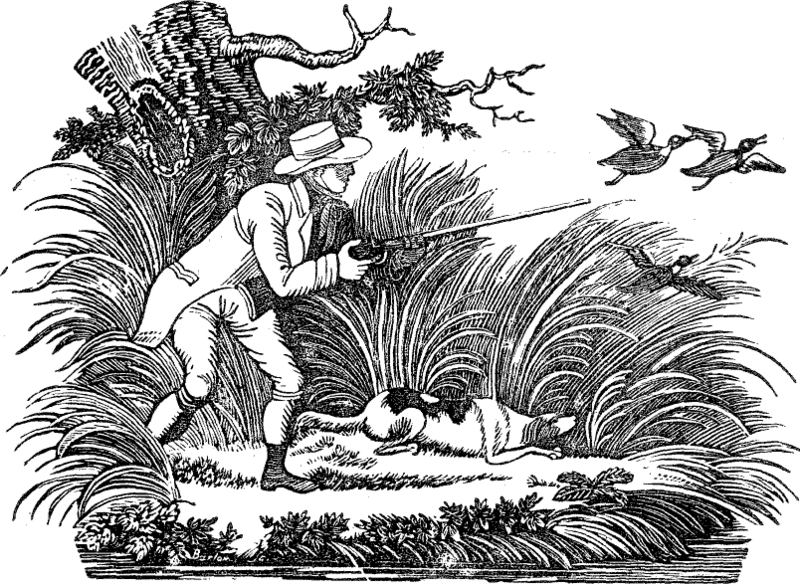 At the time the offender was unknown, but Hook was many years later revealed as the perpetrator of the events, illustrated below. The chaos was apparently indescribable. Poor Mrs. Tottenham must have been at her wits' end. She was definitely in the wrong place at the wrong time. And all because of a whim of Theodore Hook's. The whole event has become legend, but the Museum of Hoaxes has a most complete recounting of the day. Theodore Hook must have known Scrope Davies, of whom he puts me in mind, and all the other notables of the Regency. His name is largely forgotten now, but he is a model for all Regency rascals, fribbles, and Bond Street beaus. You can read more of his life in the 1872 volume by Timbs titled Anecdote Lives of Wits and Humourists available from Google Books.